After a lovely weekend, I've decided to take a night off. 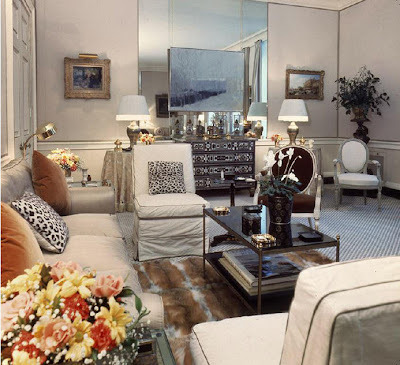 Of course, I can't leave my blog readers high and dry so I'm posting one of my all time favorite interiors. This drawing room was designed by Billy Baldwin for long time clients Kitty and Gilbert Miller's London home. 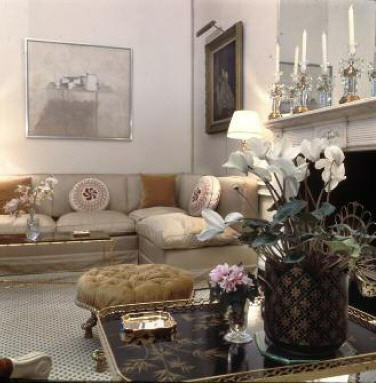 Except for the flowers and the round pillows, it really does look like it could have been designed today.